Eva Koplowicz recalls how she and her family immigrated to Canada and settled in Edmonton in 1949. Eva Koplowicz was born to a large family in 1920 in Bedzin, Poland. Her family owned a candy factory and store on the ground floor of their apartment building. Eva stopped going to school when she was 14 and worked as a cashier in her parents’ store. Soon after the German invasion of Poland in 1939, the Nazis confiscated her parents’ business. 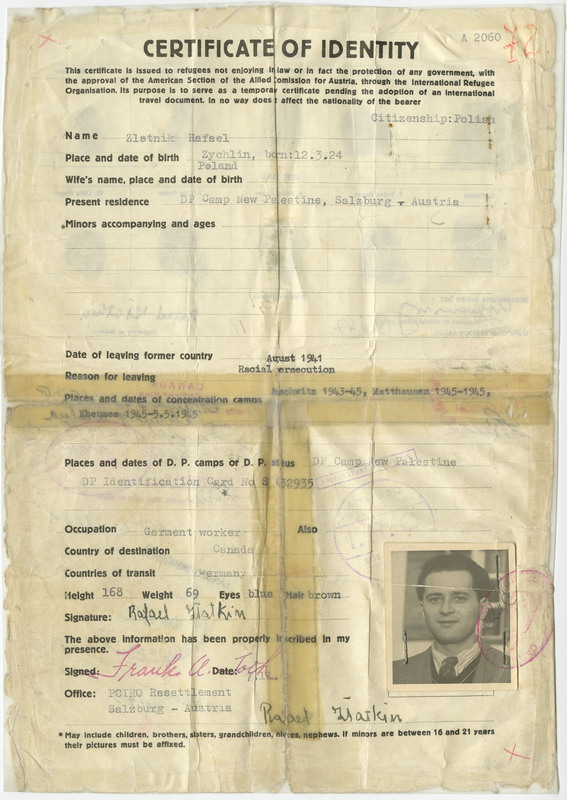 When the ghetto was established in July 1940, Eva’s family relocated to a single room. The family made candies at night to sell on the black market in order to survive. 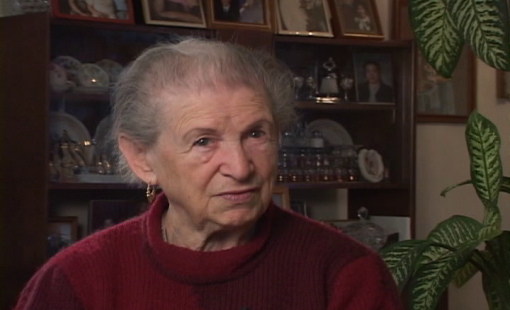 Eva got married, but her husband was deported to Auschwitz in 1942. In May 1943, Eva volunteered for forced labour in Parschnitz, a sub-camp of Gross-Rosen, to be near her sister. She worked on with her sister in a textile factory making thread for blankets for two years. The living conditions in the camp were grim. Food was scarce, lice were rampant and many women fell ill and died. In the last six weeks before liberation, the Germans didn’t send anyone to work and cut down food rations and water. The camp was liberated by the Soviet army in May 1945. Eva and her sister returned to Bedzin and learnt that no one else from their family had survived. Eva met Morris, whom she knew since childhood because he worked in her uncle’s textile factory. They got married and they immigrated to Edmonton in 1949, where Eva had an uncle who agreed to sponsor them. Eva and Morris had two children and several grandchildren. Read our brief history with testimonies, interactive maps and timelines. 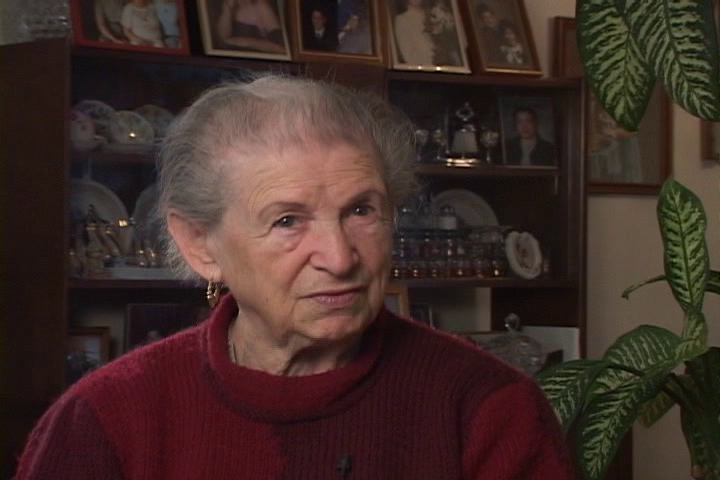 Meet Holocaust survivors and discover their journey all the way to Canada.